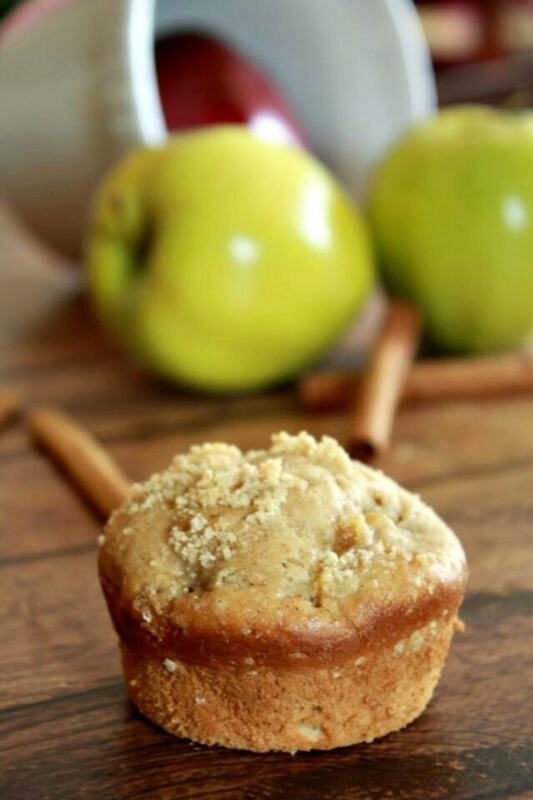 Apple cinnamon muffins sound like fall to me. It seems like summer just started, but that’s not reality. A lot of kids go back to school this week, and fall is creeping up. Part of me looks forward to all the apple and pumpkin treats that come along with fall. Hot chocolate, hoodies, boots, and fires in the fireplace – okay, I am totally ready. This post contains affiliate links, but all opinions are my own. 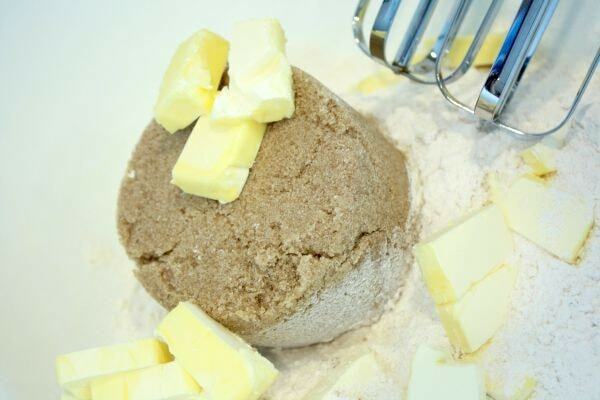 Combine 1 1/3 cups flour, brown sugar, and margarine in a large bowl. 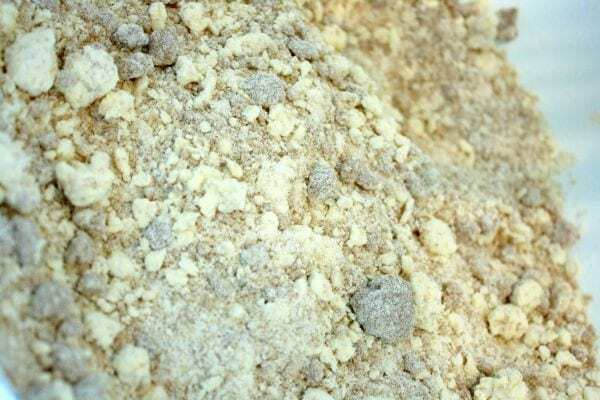 Set aside 1/4 cup for topping and add remaining flour, baking powder, baking soda, cinnamon, and salt to the same bowl. Mix well. Slowly stir in milk or buttermilk, egg, vanilla, and apples and stir until just moistened. Bake at 400° for 20 to 24 minutes or until a toothpick inserted in center comes out clean. Yum. If you like apples and cinnamon, give these muffins a try. They are great to make for company, or just for a snack for your household. I know my grandparents have a tree that produces hundreds of apples all at once. 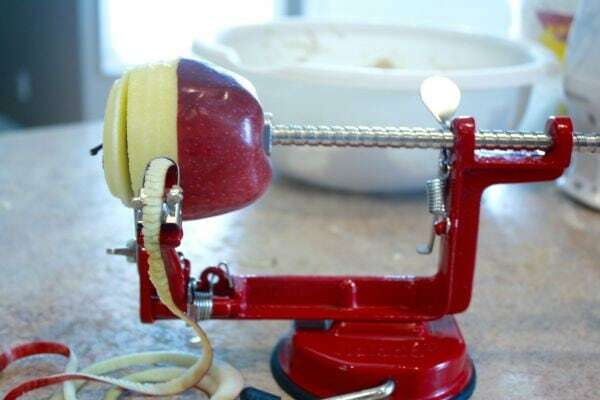 We are always looking for recipes to use up all the apples before they go bad. This muffin recipe will be high on that list. Do you think you would like these apple cinnamon muffins? Could someone tell me where on these recipe posts there is a way to get a printable version? Paper may be low tech but a printed recipe in the kitchen is easier – and cleaner – to use than a laptop with the blog post on the screen. Says me who is tired of cleaning sugar, flour and egg off my keyboard! Or, in my share buttons, there’s an option to click on, as well. Hope that helps! Thanks so much – got it! I’d been looking at the social media buttons at the top of the page rather than the icons below the posted recipe. Now that I know I’m heading for more of your wonderful recipes to print and try – today’s will be those incredibly yummy looking banana chocolate eclairs from back in June! I love Apple Cinnamon Muffins. I love muffins period. But your muffins look so pretty and easy to make, I will be making these easy fun muffins for breakfast! These look like a tasty and filling way to start the day. My teen would love these and I’ve been looking for a good breatkfast for her! Thankyou. Im going to tuck this recipe away for fall. This is a delicious way to use our fresh picked apples. I’m wanting to get back to making muffins regularly and these sound delicious and perfect for fall! Thanks for sharing! 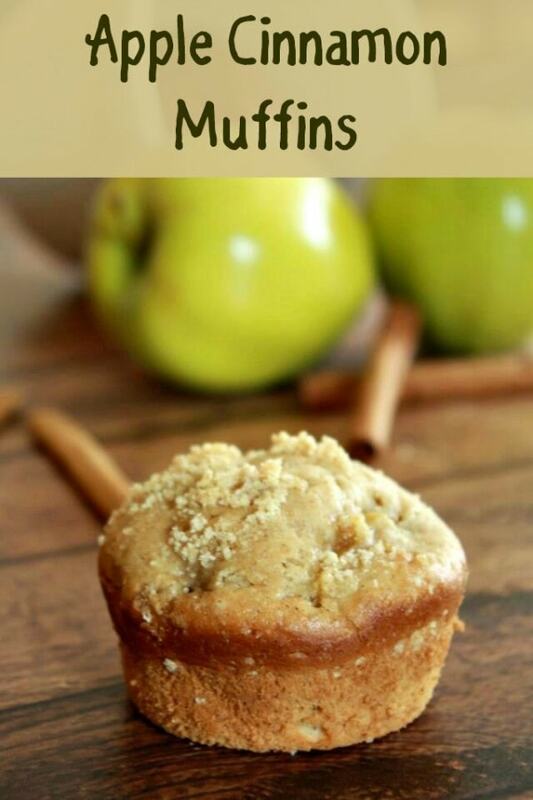 These Apple Cinnamon Muffins look so delicious. We live in North GA and the next town over from us has an Apple Festival every year. This recipe will be perfect for all the apples that we get every year. I’m going to definitely be making these muffins very soon. Thanks for the recipe. Thank you for the recipe. I would love to try this recipe sometime. Yes, I think you would like these apple cinnamon muffins. Thank you for sharing the recipe. Yumm! Love apples and cinnamon. Such a great combo for fall can’t wait to try these out. These look delicious — especially during apple season. I wonder if you could leave the peel on a soft apple (like Golden Delicious)? These look so good & would be a great quick breakfast on the go. My family would love them. I am certain that I would love these muffins! I actually have all the ingredients right now too, so I may just try this later! Thanks so much for sharing 🙂 Posting to my Pintrest page now!